DES MOINES — Hilary Clinton is winding down her campaign the same way she ramped it up, with a press conference about her emails. Clinton has come a long way since she first had to address the brewing controversy over her private email server the month before she launched her campaign, in 2015, from inside the lobby of the United Nations Headquarters in New York City. But 20 months, 50 primaries and caucuses, and three debates with Donald Trump later, Clinton had to once again go before the cameras to defend her emails, this time just 11 days from the finish line. 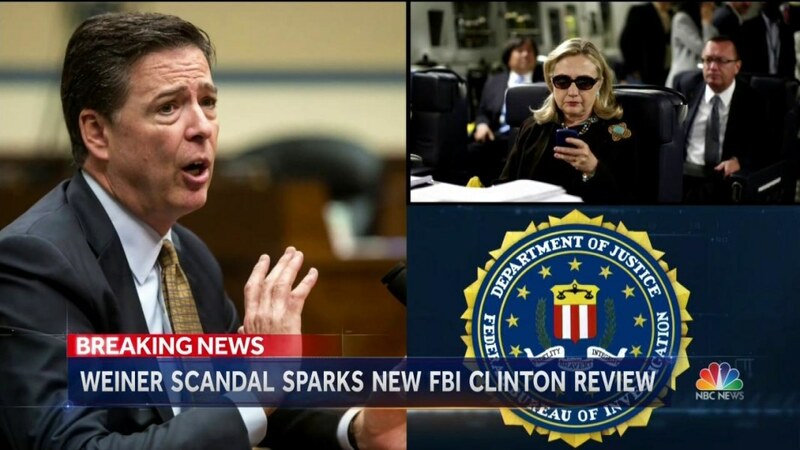 With his cryptic letter to Congress Friday calling for fresh "investigative steps" into newly discovered emails, FBI Director James Comey blindside the Clinton campaign by reviving an issue they thought he had put to rest in July, when he cleared Clinton of any potential criminal charges. But the email issue does not die, it evolves. So on Friday, in a state that must feel cursed to Clinton after it cut the legs out from under her first presidential bid, found herself repeating the ritual once again. Speaking to reporters in a High School choir room, Clinton said she found out about Comey’s letter from the press and had as many questions as everyone else. 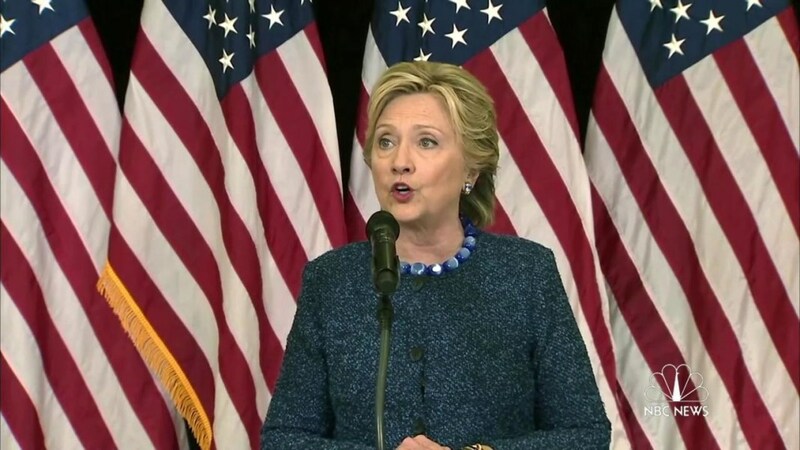 "Voting is already underway in our country," Clinton said. "Therefore it is imperative that the bureau explain this." Asked about reports that the new emails came from an separate FBI investigation into sexts allegedly sent to a minor by Anthony Weiner, the former congressman and estranged husband of Clinton’s closest aide, Clinton replied, "Your guess is as good as mine." Still, she said she said was "confident" that whatever the FBI was looking into "will not change the conclusion released in July," when Comey cleared her. Nor would it impact the election, she said. Asked if the latest email issue could sink her campaign, Clinton let out a hearty guffaw. "I think people a long time ago made up their minds about the emails. I think that’s factored in," she said. That’s likely true, over a year after Bernie Sanders declared the American people "sick and tired of hearing about your damn emails!" and Clinton aides were sanguine on their ride home from Iowa about the news. 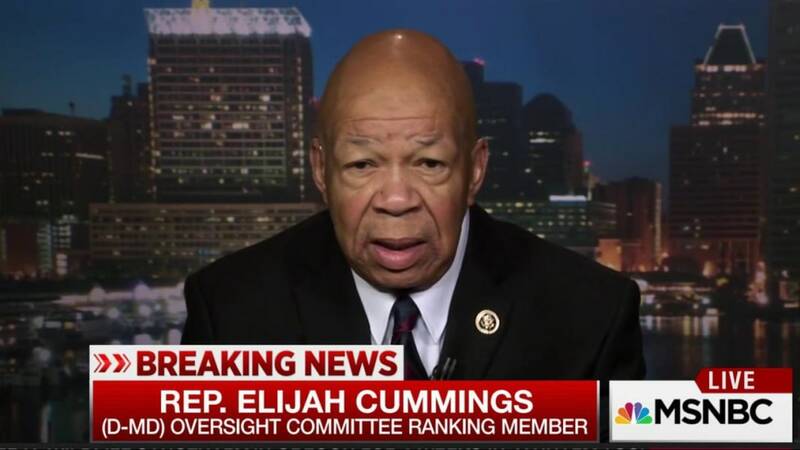 But with so much unknown about the latest FBI action, the political fallout could vary wildly depending on what else the Bureau says, and how the issue gets covered and spun. Even if it is unlikely to change minds, the familiar cloud could nonetheless curb some Democrats’ enthusiasm about their nominee, just as polls show her image finally improving. And it is already emboldening Republicans who are already telegraphing plans to tie up a potential Clinton White House in endless congressional investigations, suggesting she won’t be rid of the emails issue even if she wins. On the other hand, Republicans have a reliable track record of overplaying their hands. And there’s a chance the FBI’s action could neutralize Trump’s claims about a rigged election and legitimize a Clinton victory – assuming it doesn’t damager her. "It might not be as rigged as I thought, right, right?" 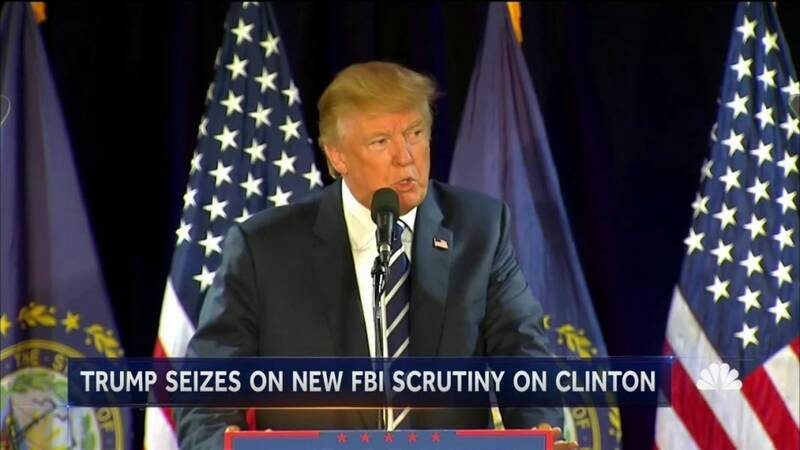 Trump said in New Hampshire Friday as his campaign giddily celebrated the FBI’s action. Still, this was not the way the second to last Friday of Clinton’s campaign was supposed to go. The campaign hoped big news of the day would be that, after months of playing footsie with the Arizona, they were finally sending their candidate the red state in a show of strength. It was evidence, campaign manager Robby Mook declared, of an emerging "Hillary Coalition" — a modification on the now-famed "Obama coalition" that includes more independents and soft Republicans. In fact, with so many polls and forecasts showing Clinton ahead, the campaign spent the day reminding voters that Trump could still won. "Complacency is probably our biggest enemy right now," Mook told reporters on the campaign’s plane before the first event. But just minutes later, as the plane began its approach to Iowa, the news about Comey’s letter began to trickle in over the rickety-onboard WiFi. Nick Merrill, the campaign’s traveling press secretary, whispered something to Communications Director Jennifer Palmieri, who had lingered to chat with reporters, and both disappeared to the staff cabin. 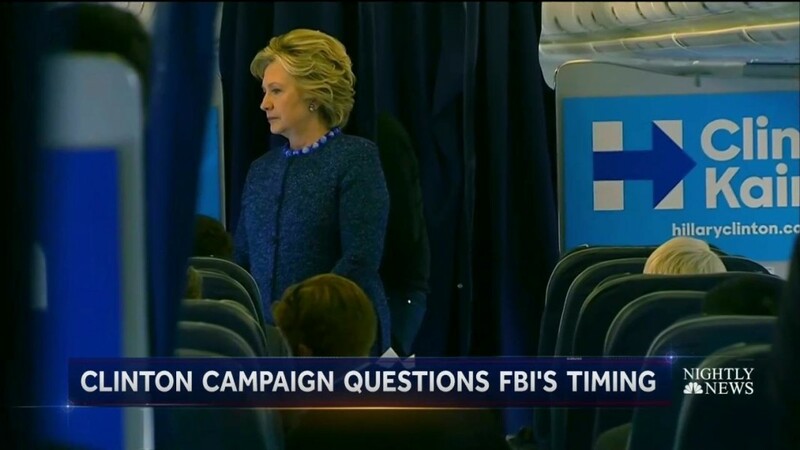 Republicans started cranking out press releases hammering Clinton even before her branded 737 rolled to a stop, but Clinton aides were quiet as reporters waited on the tarmac for the candidate to emerge. It was an unusually long wait in part, as it turned out, because she posed on board for a few minutes with famed photographer Annie Leibovitz, who traveled with campaign for two days of the final stretch. Clinton also had company from Betsy Ebeling, her close friend since the sixth grade, and guest campaign DJ Samantha Ronson, who had each chosen a particularly eventful day to hitch a ride with Clinton. Eventually, after ignoring reporters’ questions on the tarmac, Clinton was on her way to a 2,000 person outdoor rally in the hippest district of Cedar Rapids, rebuilt after a flood to be a mini-Midwest Brooklyn. On a stage lined with pumpkins and hay bales, Clinton declared, "Anything can happen in an election." "Donald Trump says he can still win and you know he’s right," she said. Elsewhere, Democratic officials rallied behind Clinton, with her vice presidential nominee Tim Kaine calling it "very, very troubling" that Comey had released the letter just 11 days before Election Day. Diane Feinstein, the longtime top Democrat on the Senate Intelligence Committee, was much harsher. "The FBI has a history of extreme caution near Election Day so as not to influence the results. Today’s break from that tradition is appalling," she said in a statement. "Director Comey admits 'the FBI cannot yet assess whether or not this material may be significant.' He cannot predict how long the investigation will take. 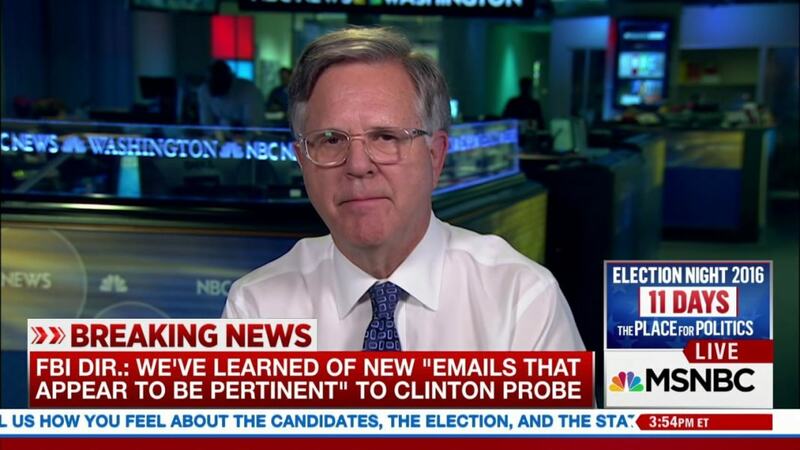 And we don’t know if the FBI has these emails in hand," she continued. "It’s too bad Director Comey didn’t take those gaping holes into consideration when he decided to send this letter." Later, at a packed high school gymnasium Des Moines, supporters in the audience mostly shrugged off the news. "It doesn't mean anything," said Jim Ellerhoff, a retired state government employee. "They've been trying to throw mud at the Clinton for years and nothing has stuck." Marsha Duke, a longtime Democratic volunteer, came to support Clinton "So my daughter knows she can be president," as the pin she pointed to read. But asked about the FBI letter, Duke sighed before saying she supported Obama in 2008 and saying she’s "hopeful ... it doesn't amount to impeachment or us electing Trump by forfeit." "I don't care how secretive or the shades of crookedness that surround her, she's still going to better than Trump," she said.